THE Vale of Rheidol Railway will be running a special event to celebrate 95 years of the GWR on September 16-17, on the theme of Roaring Twenties and Thirties. The line’s 2-6-2Ts Nos. 8 Llywelyn and 1213 Prince of Wales will be hauling traditional Great Western rolling stock on a four train service. Re-enactors will be on board trains, and also at the stations, taking passenger back to a bygone era. Shuttle trains to Capel Bangor and Aberffrwd will be headed by visiting Quarry Hunslet 0-4-0ST Britomart from the Ffestiniog Railway. The Aberystwyth workshops will be open and will hold a display of the work of graphic artist Ag Cain. There will be the first chance to see ex-South African Railways NGG13 Garratt 2-6-2+2-6-2 No. 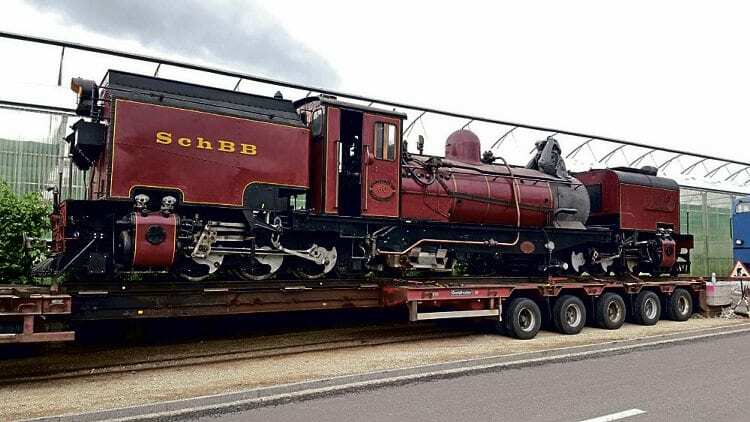 60 Drakensburg, which as reported in our last issue, has arrived on the line from the Schinznacher Baumschulbahn in Switzerland.